The APEXEL Lens is made of top granted optics, high light transmittance. 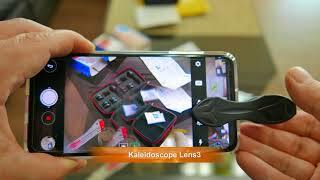 It has a wide angle lens to capture images with 112 degree field of view without distortion, dark circle. The macro lens allows you to capture small details at ultra-close range.